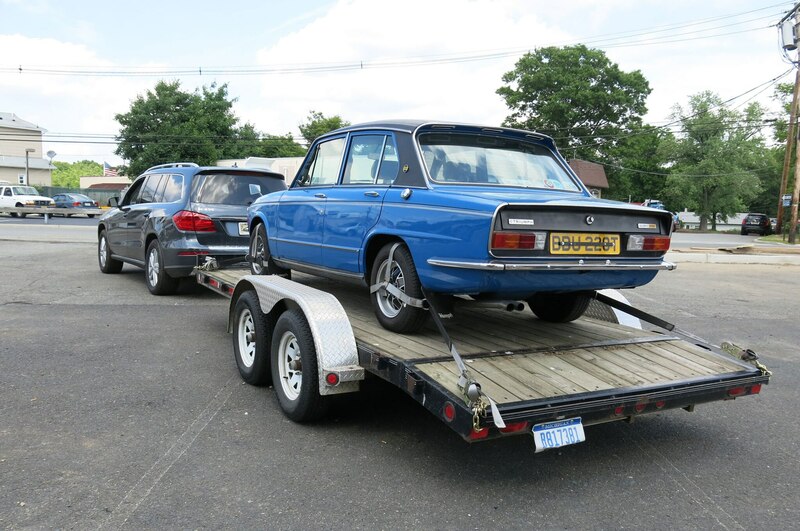 If you had just bought an obscure, British sport sedan in New York and had to bring it back to Ann Arbor, you’d rely on something like our Mercedes-Benz GL450, as did copy editor Rusty Blackwell, now the proud owner of a 1979 Triumph Dolomite purchased from the vast scuderia of New York bureau chief Jamie Kitman. Including errands and preparation for his drive, Blackwell completed 1453 miles in 26 hours and 40 minutes, eking out 15.5 mpg while averaging 54 mph. Although any and all “Lucas, Prince of Darkness” issues were limited to the Dolomite, hooking up a trailer did result in some electrical glitches. “There’s nothing in the owners’ manual about how to do this,” Blackwell observes. 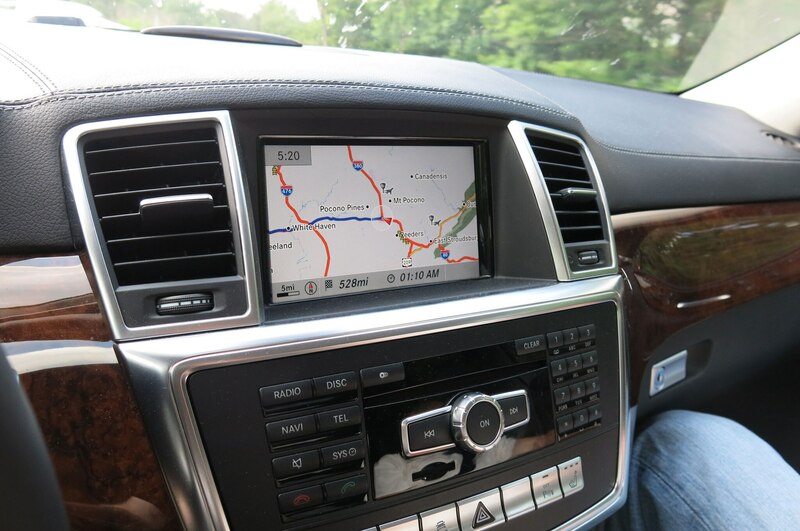 “It took Mercedes PR a couple of days to give us the information on the exact locations of the pertinent wiring harness.” Our GL’s towing package option includes pre-wiring for brakes. Blackwell was discouraged when he consulted etrailer.com for tips, where experts warned of hassles and dealer apathy. In the search to replace an incorrect wiring connector with the right one, a local Benz dealer he called late on a Thursday told him the pigtail wasn’t in stock, but he could get one by Tuesday, two days after Blackwell had hoped to return with the Triumph. 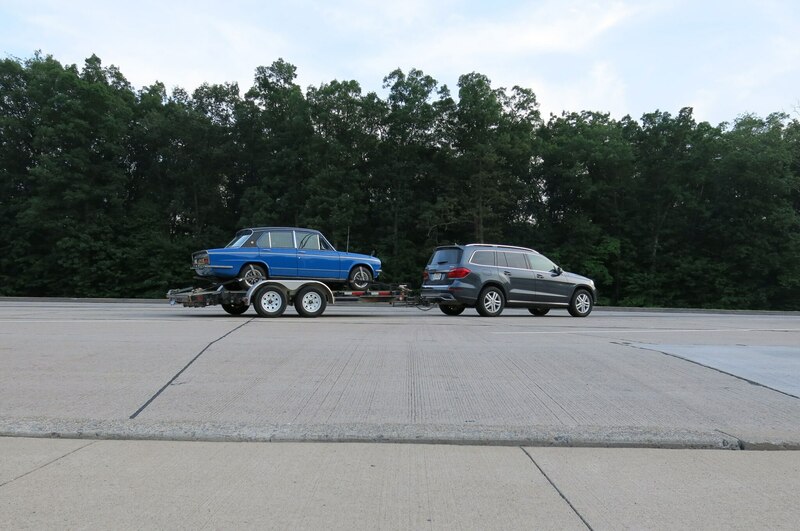 Instead, Blackwell’s co-driver for the excursion disassembled the trailer-brake controller’s connector and plugged the four lead wires directly into the SUV’s connector, insulating it all with electrical tape. On the drive east the next morning, they found that, as the owners’ manual warned, the connected trailer had disabled the GL’s blind-spot monitor, but the manual did not indicate that the yellow triangles in the sideview mirrors would be constantly illuminated. Even with the trailer, the Mercedes’ lane-keeping assist vibrates the steering wheel when you cross a lane line without signaling. On the minus side, he yearned for a button to manually engage the camera while slowly moving the GL forward with the trailer and Dolomite attached. The driver’s sideview-mirror camera stopped working briefly after he attached the trailer, and Blackwell didn’t like the pickiness of the keyless entry system. It requires the key to be too close before it automatically unlocks the door, he says. 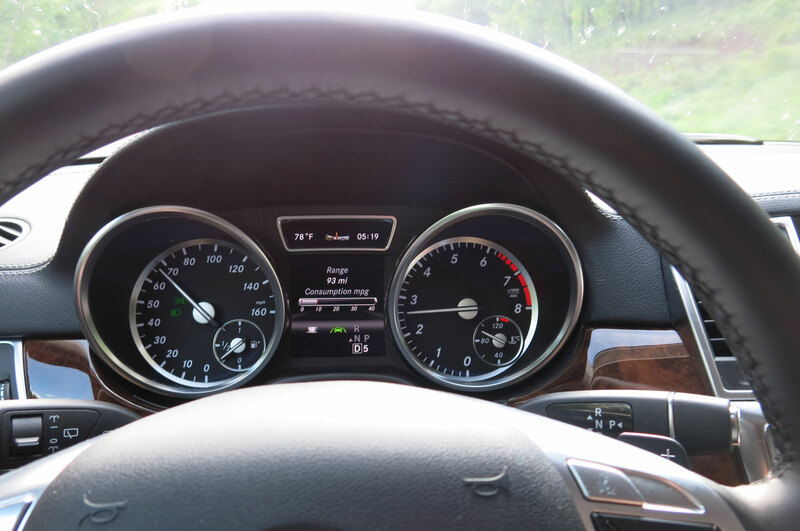 The adaptive high-beams turn off too quickly on country roads, and the attention alert system, signified by a coffee cup symbol on the instrument panel, beeps too easily after long drives. All are observations one is likely to make only after such a long drive involving a trailer. As for the rest of the Automobile Magazine staff, ride quality and handling are major areas of contention. “There’s a lot more body roll than I remember in a GL,” senior web editor Phil Floraday says, “and it feels a whole lot smaller than a QX” while failing to match the Infiniti’s 14 mpg city/20 mpg highway ratings. The problem might be in Mercedes’ attempt to make the GL feel more like a car. 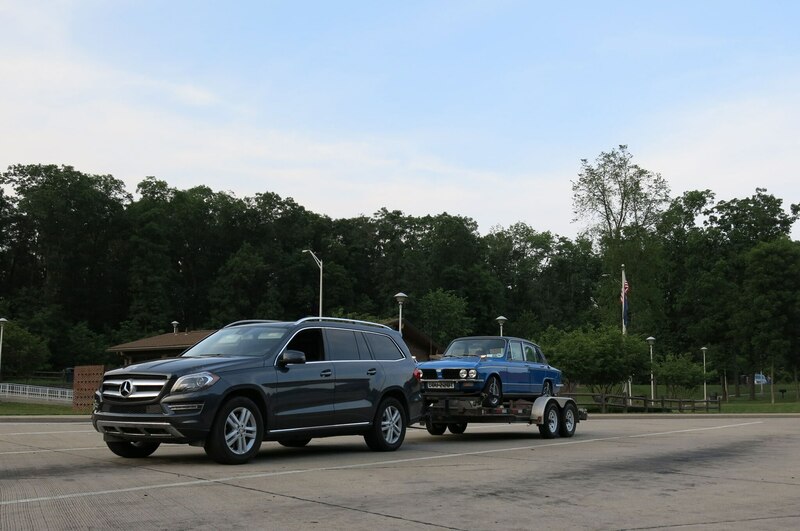 At 10,527 miles, the next thing on the Mercedes GL450’s agenda is its slightly overdue first service.